Gidget Goes Home is the vintage blog home of Nicole V. Bennett, covering a variety of topics from crafts & sewing to ice cream recipes to faith to natural living. For all things writing and reading, please visit my main site. This is Day 9 of 31 Days to Intentional Community. Parts of this post where originally posted on Simple Homemade in 2012-- you can head there to read the original post and all the comments. I truly believe that God was intentional when he created us with our particular passions. And maybe, just maybe, he gave me a love for homemade ice cream not just to fatten me up ;) but also so that I could bless others through that passion. For about a year, this monthly tradition happened in our house. Now, after living with my parents and then moving again and settling in to our new home, it's been a year since we last hosted one. I'm itching to get back into this particular routine. Maybe this will be the month we do it. If you know me at all, you know I love ice cream. Especially homemade ice cream. I also love opening my home to friends and family. But back in 2011 with three little ones, lots of laundry, an-always dirty floor, 5 o'clock meltdowns, etc, etc, I found myself, sort of in a rut with inviting people over. I was discouraged by people being busy when I invited them and I also wasn't feeling as motivated to open our home up as I used to. One evening after the bigger kids were in bed, I took to strolling around around the bookstore with a sleeping baby. I'm guessing I'm not the only one who has inspiration strike amidst the stacks of creative publications and glossy pages full of stories and photos. But there I was, and the idea hit me. It was a simple solution that would provide some structure (which I find helps me) to my hospitality desires, and motivation to regularly work on my ice-cream-making skills. What is Ice Cream Sunday? On the first Sunday night of the month, we hosted an open house of sorts, called Ice Cream Sunday where we enjoyed a couple of hours of conversation and sundaes. I featured a homemade flavor or two and friends and family would join us, bringing toppings, cones, snacks or more ice cream. We'd indulge in something sweet, and enjoy the fellowship of each other. It quickly became something we all looked forward to! It doesn't have to be ice cream for you, but if you're looking for a way to open your home more I encourage you to figure out a way to find something you love, and make a plan to regularly share it with your loved ones, and those you long to get to know better. Friends of ours recently took the idea and ran with it, planning a Sunday Soup Night once a month. 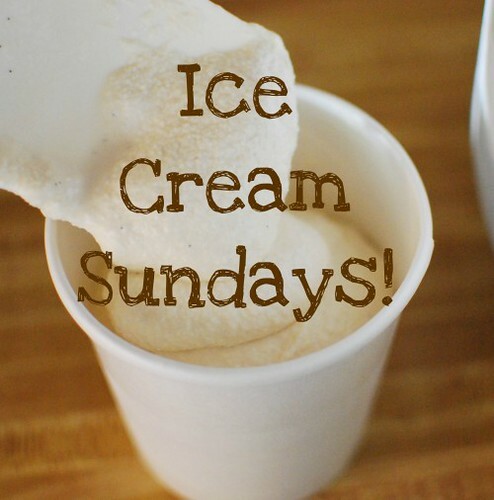 There are a few things I really love about Ice Cream Sunday, even more than other events. It's the kind of gathering that doesn't require a lot of planning or preparation (unless you're making ice cream, but I like to do that anyway). It doesn't include dinner, which is much simpler, especially among families with young kids. And, the food is basically the same each month, so guests know what to expect and what to bring. Flavors can vary based on season, which is fun. It's a monthly event, so we just plan on it happening. I send an Evite out but our regular attendees expect its occurrence. It's easy to entertain more and more people since the food is simple, which makes it a great way to get to know new friends or neighbors. Adding more people doesn't really change the menu since you can always keep an extra half-gallon in the freezer just in case. If you're looking for a regular way to get to know your friends and neighbors and develop more of a sense of community in your home, a regular gathering is a great start. A monthly event isn't a huge commitment, and it can be flexible as well. 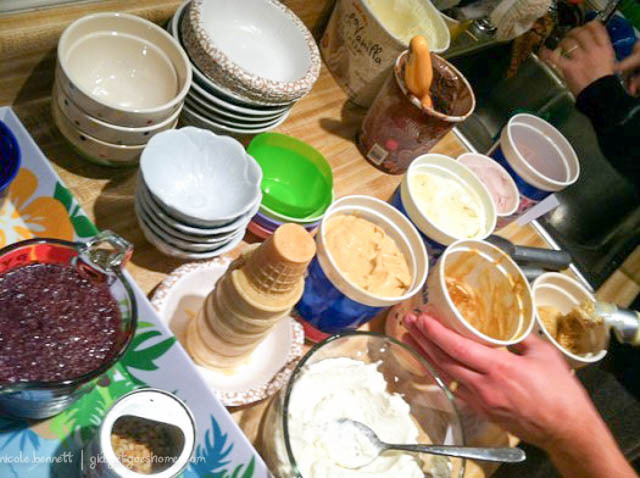 Last February our Ice Cream Sunday transitioned to a Super Bowl party and in January, we postponed it a week due to New Year's. If you want motivation to work on some home-cookin' skills, this is your chance. You could host a monthly BBQ, or a monthly cupcake night or a full-on dinner if that suits your fancy. An evite is an easy way to announce your monthly flavors and get an idea of how much ice cream you'll need. I always plan on having extra since I allow the evite to be forwarded on, so guests can pass it on and bring friends. Cones allow for small servings for kids (and more fun in their eyes) and also lighten the cleanup load. Small bowls are helpful if you have multiple flavors so guests can go back for seconds (and thirds?!). Label your ice creams and also provide water, coffee, etc, or ask a guest to bring the drinks! We schedule ours early, 5:30-7:30pm, so that families can get kids home to bed and not start the new week out with a late night. Anyone's welcome to stay and hang out longer, but the earlier time is more inviting for young families. Last year, I reviewed the eBook Just Making Ice Cream, and since then I've made a variety of flavors for our Ice Cream Sundays which have all gotten rave reviews. The book is affordable, supports a good cause (Mare's is a missionary with her family), and includes everything you need to get started on homemade ice cream, including recipes full of nourishing ingredients and alternative sweeteners. 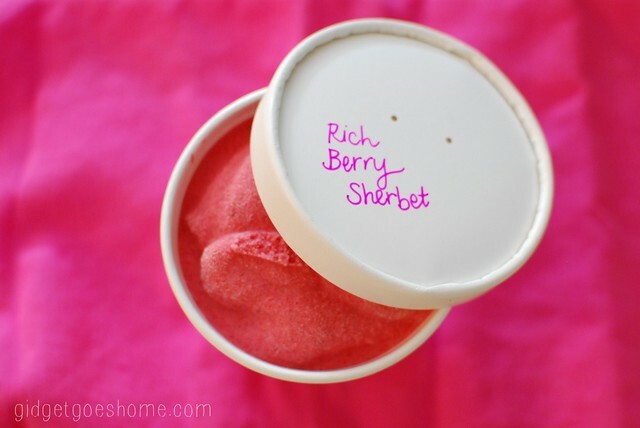 Later this month I'll be sharing a new flavor with you over Mare's blog so stay tuned. I also have a variety of homemade ice cream recipes here on my blog. I'm collecting ideas on my Ice Cream Love Pinterest board as well. One of my favorite recipes is one by David Lebovitz -- mint chip made with real mint and no green food coloring. One more note on hospitality... remember that having people step into the realm of your home is a wonderful opportunity for them to see the more natural, homemade way that you do things. Friends and family see how simple it really is to use cloth napkins, for example, when you mention that you don't have paper ones. This subtlety is much more well-received than a lecture on the state of our landfills. ;) In the same way, it is a beautiful time for friends and neighbors to see your love of the Lord as they visit your home and get to know you more. Do you already open your home regularly? Let me know if you decide to try your hand at a regular open house, or your own Ice Cream Sunday! I'd be happy to share a monthly update on ours when we get back into it, along with the flavors we're enjoying, on Facebook or here on the blog. Nicole is a writer, reader, baseball fan, and connoisseur of ice cream, coffee, and sourdough bread. She lives near the beach with her husband, three kiddos, and labradoodle named Scully.